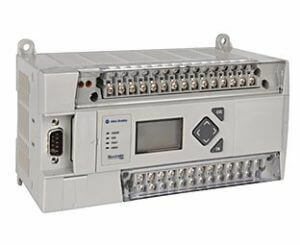 They are used in many manufacturing industries due to its robust construction and functional features like sequential control, timers, and counters, ease of programming and hardware usage reliable controlling capabilities and ease of hardware usage so this PLC is more than a special-purpose digital computer in industries as well as in other control-system areas. In modular type PLC, the number of I/Os can be increased by the addition of modules to the existing PLC. In modular type PLC, a number of I/O supported can be increased to a few hundred by adding I/O modules. The name Modular itself means that the number of modules can be connected to the device same in modular PLC several modules can be connected that is several components can be connected to a common rack or bus with extendable I/O capabilities. The Modular PLC also contains power supply modules, CPU and other I/O modules that are plugged in the same rack which may or may not be from same manufacturers. The modular PLCs comes in different sizes, their sizes vary with I/Os, the number of power supply and their computing capabilities. Modular PLCs may be further divided into small, medium and large PLCs depending on program memory size and the number of I/O features. Small PLC is a small sized PLC designed in such a way that it can be placed beside the equipment to be controlled. The hard-wired relay logic, counters, timers, etc are replaced by this type of PLC. The expandability of I/O module is limited to just one or two modules and it uses logic instruction list or relay ladder language as a programming language. Medium-sized PLC is mostly used, there are many plug-in modules that are mounted on the backplane of the system. There are additional I/O cards available so the number of inputs and outputs can be increased and in addition to this, the communication modules can also be increased compared to small PLC. 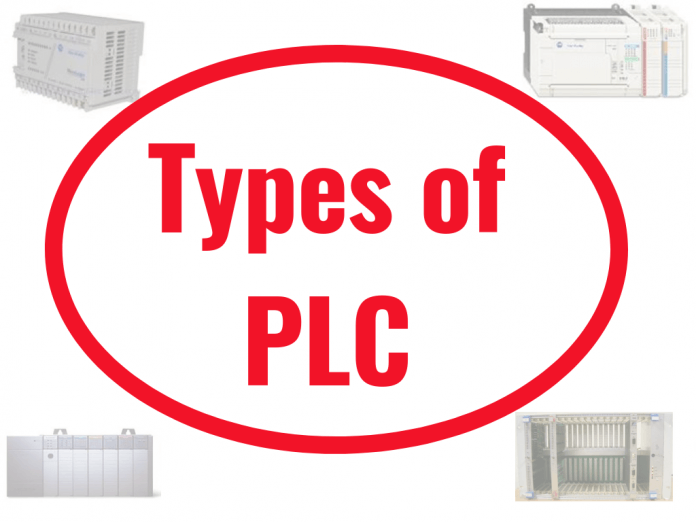 Large PLCs are used in complex process control functions and has higher capacity compared to small and medium-sized PLC in terms of memory, programming languages, I/O points, and communication modules, and so on. Mostly this type of PLCs is used in larger plants, also used in supervisory control and data acquisition (SCADA) systems, distributed control systems, etc. In rack type PLC all the components of the PLC areas separate module and are assembled to form one unit by mounting the individual components on a rack. This PLC can support up to thousands of I/Os.